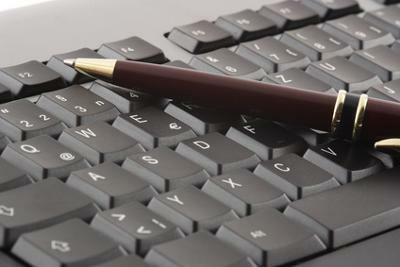 What writing skills do entry level employees need? I teach communications courses and I want to provide students with real-world examples of the kinds of writing skills they will need on their first job after that associate's or bachelor's degree. What are essential writing skills for workers in 2010? Entry level workers need to have the writing skills that will allow them to effectively perform the following writing assignments. Employees need to know that a good written report will contain information relevant to the question(s) being asked. If the report deals with the status of a project, the report needs to include progress, issues and goals for the next reporting period. If the report deals with problem reporting, the report needs to include the cause of the problem, the impact of the problem, the steps taken to resolve it, and the measures being adopted to prevent the problem from recurring in the future. If the report deals with proposing a new idea or a new project, the report needs to include a clear definition of the existing problem or opportunity, an evaluation of alternatives to address the problem or opportunity, and a recommendation that includes a cost analysis and high level steps for implementation. In this day and age we seldom write letters and memoranda, we often rely on email to transact business. Still, students need to learn the mechanics of writing a business letter or memorandum, including format and logistics. Students may be more conversant in email communication, they just need to learn email etiquette and how to write effective emails. Even though entry level employees may not be assigned to do full blown presentations, they may be asked to help prepare the presentation written materials, including the presentation outline, visuals and supporting data. This is a skill that is absolutely critical to learn and practice. As employees climb the organizational ladder, they will be asked to participate more fully in giving presentations to higher level management. One of the building blocks for giving effective presentations is the ability to put together the corresponding written supporting materials. This is a common assignment given to entry level employees. It´s important that they know the key elements of good meeting minutes, namely, to capture the conclusions arrived at, the agreements made, and the decisions taken by the meeting body. They students can just take a standard template for meeting minutes and tailor it to the needs of the organization where they are employed. I hope this answers your question about the writing skills needed by entry level employees. If it doesn't, please let me know. P.S. One of the forgotten writing skills is knowing how to write the hand-written note. This is worth teaching your students, too. You can let them know how it comes in handy for thank you notes, short FYIs, quick Post It notes, and other brief messages. It adds a personal touch to our digital business world. Comments for What writing skills do entry level employees need? It is the perfect site for gain more knowledge and tips for all students I am happy to learn more tips Keep doing what you are doing, I am very happy to found this site. I am a college student. I need to write lots of assignments and esseys for my university. That is why I need improve my writing skils. I am glad to read your useful article here.